Vladimir Putin has visited General Shamanov on his hospital bed. Shamanov is suffering from a cerebral concussion, a broken arm and a broken leg. He should be operated on this Monday. Russian TV showed a very sympathetic Putin warmly encouraging Shamanov who spoke to him through an oxygen mask. 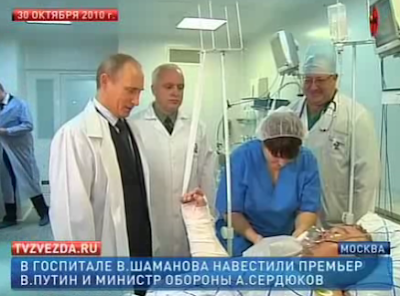 Putin promised Shamanov that only the very best doctors would treat him. Defense Minister Serdiukov also visited Shamanov, but no footage of their meeting was released. Serdiukov declared that "Paratroopers are tough guys" and that Shamanov will soon re-join the ranks. The C-in-C of the Russian Airborne Forces is the object of a "full-spectrum attack"
Remember the crisis which opposed the Russian Airborne Forces to the Minister of Defense Serdiukov (see here, here, here and here)? Well, the counter attack from Serdiukov did not take long and it was really a case of a "full-spectrum" strike. First, a "leak" was published in a Russian tabloid accusing Shamanov of using two Spetsnaz units from the 45th Special Forces Reconnaissance Regiment in Kubinka to defend the interests of Shamanov's son in law, Alexei Khramushin, a well-known "businessman" who currently has an international arrest warrant (for murder) issued against him. Although nothing actually happened that day, a "declassified" (??) recording of what appeared as an intercepted and decrypted telephone conversation between Shamanov and one of his aides was leaked to the Russian tabloid Novaia Gazeta in which Shamanov can be heard ordering 2 Spetsnaz units sent to a business center belonging to Khramushin to prevent an inspection by judicial authorities. When questioned about that, Shamanov answered that this recording had been a clever montage of a real conversation made by individuals with connections to Chechnia. Needless to say, nobody ever wondered about who actually cracked the encrypted conversations of the C-in-C of the Airborne Forces or who leaked the recording to the press. A few days later, the Ministry of Defense issued an official statement accusing Shamanov of acting in a way which does not correspond to his status has "Hero of Russia" (he received this medal after his highly successful campaign in Chechnia). The entourage of General Shamanov then initiated their own investigation into who exactly what behind the so-called "recording" and who gave it to the media. 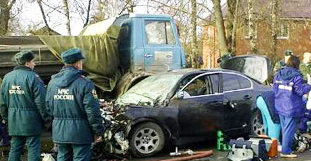 Now, to top if all off, Shamanov has been involved in a very serious car accident in which a truck suddenly crossed the road and slammed into Shamanov's car even though the road was flat and empty at the time of the accident. Shamanov and a colonel traveling with him the the back seat are both alive, but in very heavy but stable condition in a hospital. Shamanov's driver is dead. The driver and passenger of the truck, both citizens of Tajikistan, first attempted to escape away from the place of the accident but where soon arrested. The driver - Dovladsho Elbigiev - now claims that he was trying to avoid some "other vehicle" when he veered straight into Shamanov's car. Unless the Airborne Forces and other parts of the military refuse to keel over and play possum and strike back at those who are now clearly subjecting them to a "full-spectrum" attack. Potentially, the Airborne Forces and the GRU are a powerful force which could push back against the Kremlin and its security forces, but this would require that strong individuals in both institution take charge and decide to act together. The lunatic fringe of the Republican Party, which looks set to make sweeping gains in the midterm elections, is the direct result of a collapse of liberalism. It is the product of bankrupt liberal institutions, including the press, the church, universities, labor unions, the arts and the Democratic Party. The legitimate rage being expressed by disenfranchised workers toward the college-educated liberal elite, who abetted or did nothing to halt the corporate assault on the poor and the working class of the last 30 years, is not misplaced. The liberal class is guilty. The liberal class, which continues to speak in the prim and obsolete language of policies and issues, refused to act. It failed to defend traditional liberal values during the long night of corporate assault in exchange for its position of privilege and comfort in the corporate state. The virulent right-wing backlash we now experience is an expression of the liberal class’ flagrant betrayal of the citizenry. Populations will endure repression from tyrants as long as these rulers continue to effectively manage and wield power. But human history has amply demonstrated that once those in positions of power become redundant and impotent, yet retain the trappings and privileges of power, they are swiftly and brutally discarded. Tocqueville observed that the French, on the eve of their revolution, hated the aristocrats about to lose their power far more than they had ever hated them before. The increased hatred directed at the aristocratic class occurred because as the aristocracy lost real power there was no decline in their fortunes. As long as the liberal class had even limited influence, whether through the press or the legislative process, liberals were tolerated and even respected. But once the liberal class lost all influence it became a class of parasites. The liberal class, like the déclassé French aristocracy, has no real function within the power elite. And the rising right-wing populists, correctly, ask why liberals should be tolerated when their rhetoric bears no relation to reality and their presence has no influence on power. The death of the liberal class, however, is catastrophic for our democracy. It means there is no longer any check to a corporate apparatus designed to further enrich the power elite. It means we cannot halt the plundering of the nation by Wall Street speculators and corporations. An ineffectual liberal class, in short, means there is no hope, however remote, of a correction or a reversal through the political system and electoral politics. The liberals’ disintegration ensures that the frustration and anger among the working and the middle class will find expression in a rejection of traditional liberal institutions and the civilities of a liberal democracy. The very forces that co-opted the liberal class and are responsible for the impoverishment of the state will, ironically, reap benefits from the collapse. These corporate manipulators are busy channeling rage away from the corporate and military forces hollowing out the nation from the inside and are turning that anger toward the weak remnants of liberalism. It does not help our cause that liberals indeed turned their backs on the working and middle class. The corporate state has failed to grasp the vital role the liberal class traditionally plays in sustaining a stable power system. The corporate state, by emasculating the liberal class, has opted for a closed system of polarization, gridlock and political theater in the name of governance. It has ensured a further destruction of state institutions so that government becomes even more ineffectual and despised. The collapse of the constitutional state, presaged by the death of the liberal class, has created a power vacuum that a new class of speculators, war profiteers, gangsters and killers, historically led by charismatic demagogues, will enthusiastically fill. It opens the door to overtly authoritarian and fascist movements. These movements rise to prominence by ridiculing and taunting the liberal class for its weakness, hypocrisy and uselessness. The promises of these proto-fascist movements are fantastic and unrealistic, but their critiques of the liberal class are grounded in truth. The liberal class, despite becoming an object of public scorn, still prefers the choreographed charade. Liberals decry, for example, the refusal of the Democratic Party to restore habeas corpus or halt the looting of the U.S. Treasury on behalf of Wall Street speculators, but continue to support a president who cravenly serves the interests of the corporate state. As long as the charade of democratic participation is played, the liberal class does not have to act. It can maintain its privileged status. It can continue to live in a fictional world where democratic reform and responsible government exist. It can pretend it has a voice and influence in the corridors of power. But the uselessness of the liberal class is not lost on the tens of millions of Americans who suffer the awful indignities of the corporate state. The death of the liberal class cuts citizens off from the mechanisms of power. Liberal institutions such as the church, the press, the university, the Democratic Party, the arts and labor unions once set the parameters for limited self-criticism and small, incremental reforms and offered hope for piecemeal justice and change. The liberal class could decry the excesses of the state, work to mitigate them and champion basic human rights. It posited itself as the conscience of the nation. It permitted the nation, through its appeal to public virtues and the public good, to define itself as being composed of a virtuous and even noble people. The liberal class was permitted a place within a capitalist democracy because it also vigorously discredited radicals within American society who openly defied the excesses of corporate capitalism and who denounced a political system run by and on behalf of corporations. The real enemy of the liberal class has never been Glenn Beck, but Noam Chomsky. The purging and silencing of independent and radical thinkers as well as iconoclasts have robbed the liberal class of vitality. The liberal class has cut itself off from the roots of creative and bold thought, from those forces and thinkers who could have prevented the liberal class from merging completely with the power elite. Liberals exude a tepid idealism utterly divorced from daily life. And this is why every television clip of Barack Obama is so palpably pathetic. Unions, organizations formerly steeped in the doctrine of class warfare and filled with those who sought broad social and political rights for the working class, have been transformed into domesticated junior partners of the capitalist class. Cars rolling out of the Ford and GM plants in Michigan were said to have been made by Ford-UAW. And where unions still exist, they have been reduced to simple bartering tools, if that. The social demands of unions early in the 20th century that gave the working class weekends off, the right to strike, the eight-hour workday and Social Security have been abandoned. Universities, especially in political science and economics departments, parrot the discredited ideology of unregulated capitalism and globalization. They have no new ideas. Artistic expression, along with most religious worship, is largely self-absorbed narcissism meant to entertain without offense. The Democratic Party and the press have become courtiers to the power elite and corporate servants. Once the liberal class can no longer moderate the savage and greedy inclinations of the capitalist class, once, for example, labor unions are reduced to the role of bartering away wage increases and benefits, once public education is gutted and the press no longer gives a voice to the poor and the working class, liberals become as despised as the power elite they serve. The collapse of liberal institutions means those outside the circles of power are trapped, with no recourse, and this is why many Americans are turning in desperation toward idiotic right-wing populists who at least understand the power of hatred as a mobilizing force. The liberal class no longer holds within its ranks those who have the moral autonomy or physical courage to defy the power elite. The rebels, from Chomsky to Sheldon Wolin to Ralph Nader, have been marginalized, shut out of the national debate and expelled from liberal institutions. The liberal class lacks members with the vision and fortitude to challenge dominant free market ideologies. It offers no ideological alternatives. It remains bound to a Democratic Party that has betrayed every basic liberal principle including universal healthcare, an end to our permanent war economy, a robust system of public education, a vigorous defense of civil liberties, job creation, the right to unionize and welfare for the poor. The liberal class is finished. Neither it nor its representatives will provide the leadership or resistance to halt our slide toward despotism. The liberal class prefers comfort and privilege to confrontation. It will not halt the corporate assault or thwart the ascendancy of the corporate state. It will remain intolerant within its ranks of those who do. The liberal class now honors an unwritten quid pro quo, one set in place by Bill Clinton, to cravenly serve corporate interests in exchange for money, access and admittance into the halls of power. The press, the universities, the labor movement, the arts, the church and the Democratic Party, fearful of irrelevance and desperate to retain their positions within the corporate state, will accelerate their purges of those who speak the unspeakable, those who name what cannot be named. It is the gutless and bankrupt liberal class, even more than the bizarre collection of moral and intellectual trolls now running for office, who are our most perfidious opponents. No matter who wins in the midterm elections the painful truth will be that there will be no genuine government reforms. The real question is: Will this ugly reality finally wake up most Americans and compel them to pursue better strategies for fixing the nation? Only one result of the coming midterm elections is assured. No matter who wins and how much power shifts from Democrats to Republicans in Congress there will not be any deep, sorely needed true reforms of our corrupt, dysfunctional and inefficient government. The culture of corruption in Washington, DC will remain. Hundreds of millions of dollars from corporate and other special interests will assure that. Voters who think otherwise are either delusional or stupid. It will not matter whether you vote for Republicans because you want to defeat Democrats (or vice-versa), or whether you vote for Tea Party candidates, or whether you vote against incumbents, or whether you vote for what you believe are lesser-evil candidates. Americans will lose however they vote. That is a terribly painful reality, which is why those who choose to vote will not face the truth. Delusion and stupidity are rampant, like a terrible epidemic that has killed brain cells. Yes, you are thinking that this is the most cynical view possible. But this is what American history tells us. Americans have been brainwashed and tricked into thinking that elections are crucial for maintaining American democracy. That is exactly what the two-party plutocracy needs to maintain their self-serving political system and that is also what the rich and powerful Upper Class wants to preserve their status. In the months following this election, when unemployment and economic pain for all but the rich remain awful, anyone who pays attention and is able to face the truth will see that there is no chance of genuine government reforms. The Republicans will blame the Democrats, the Democrats will blame the Republicans, the Tea Party winners will blame the system, the radio and cable pundits will blabber endlessly, and Jon Stewart and other comics will have an abundance of material to take jabs at. Every member of Congress will, as before, spend most of their time and energy doing what is necessary to win the next election. President Obama, of course, will continue his self-serving rhetoric with the sole goal of winning reelection in 2012. Here is what non-delusional Americans can hope for: Maybe a decent third party presidential candidate will emerge. Maybe the Tea Party movement will wake up to the reality that electing Republicans is a terrible strategy for reforming the government and restoring the health of the nation and shift their interest to forming a third party. Maybe the greatly expanded calls for an Article V convention as the constitutional path to reforms through constitutional amendments will gather more energy (especially from Tea Party people) and finally succeed. Welcome to the good old USA where citizens, unlike those in Europe, do not riot in the streets demanding justice but keep believing in the nonsense that voting for either Republicans or Democrats will work for them and the nation. The speech delivered by Hezbollah Secretary General Sayyed Hassan Nasrallah on the conduct and performance of the International Investigation Committee and the International investigators delivered on Thursday October 28, 2010. In the Name of Allah, The Compassionate, The Most Merciful. Praise be to Allah, The Lord of the World. Peace be on our Master and Prophet – The Seal of Prophets – Mohammad and on his Chaste Household, chosen companions and all prophets and messengers. Though my speech today is related to a special topic which is the conduct and performance of the International Investigation Committee and the international investigators under the General Prosecutor of the Special Tribunal for Lebanon, as a lead-in, I see that it is my duty to mention the dangerous and serious incident that took place in the city of Umm Al-Fahm in Occupied Palestine in the territories occupied since 1948. It is a flagrant brutal aggression against our Palestinian brethrens there which we must view in the general conduct pursued by Netanyahu's cabinet starting with the Nationality Law to the demand of acknowledging Israel as a Jewish state. What took place is neither ordinary nor incidental. It rather comes in a framework that puts the Palestinians living in the territories occupied since 1948 in the cycle of great risk. This must be noticed by all the governments and peoples of the Arab and Islamic world and worldwide so that they assume their responsibilities. The international and Arab silence on this incident and on what is taking place is quite remarkable. What called on me to talk tonight was what took place yesterday when a delegation from the international investigators under the General Prosecutor visited the clinic of a gynecologist in the Southern Suburbs of Beirut (Dahiyeh) and asked the concerned doctor to let them have access to her patients' archives - who are all women - since 2003 up to this day. I will tackle in a while the argument that took place between them and the details of the incident. Well this is what held me today to address you and all audiences and listeners. It is because I believe we have reached a sensitive and very dangerous stage which has to do with our honor and dignity and which calls on all of us to take a different stance. In fact, I did not wish to talk today had it not been for the local and foreign reactions and from high levels which I watched and heard yesterday. Today also there were more reactions whether from the General Prosecutor or the head of the STL or the concerned international parties until reaching the US State Department which condemned with the most forceful terms of condemnation – as it said – what took place in Dahiyeh. Indeed American eyes are blind and American ears are deaf on what is taking place in Palestine and in Umm Al- Fahm – and that was what took place on one day only. No word was said on what took place in Umm Al-Fahm, though the magnitude and circumstances of what took place in Dahiyeh are not to be compared to the magnitude, circumstances and aims of what took place in Umm Al-Fahm. This increased my conviction to carry on and talk tonight. In fact, another thing came to light; the Lebanese judicial authorities regained its vitality. I was amazed by the haste with which the State Prosecutor moved and with astounding promptness he opened an investigation on this case after remaining silent for long years on false witnesses. I thought he opened an investigation to apply the Lebanese laws but I heard that it is against the law. Anyway, the door of jurisprudence is open on whatever is called laws. However, aside from laws, we thought he made haste to defend our dignity and honor. Anyway, this atmosphere affirms that the industrious US attempts – whether through Filtman's visit and the contacts of Mrs. Clinton – aim at ruining all the Saudi-Syrian attempts to preserve this country's integrity and stability. These US attempts are provoked by local and regional political forces which we know very well. Before starting my speech, I would like to tell you that few minutes ago I received some information which I hope is not true. It says that there are great US pressures on the General Prosecutor to hasten in issuing the indictment before its due date in December. Anyway, when you see all these reactions you realize that what took place was not an accidental incident. It rather deserves contemplation and dealing with it as a turning point. What I will present to you and what I will ask from you is a turning point in the track in this issue. However before moving to the sensitive side which has to do with our honor and the gynecologic documents, I would like to reveal the truth to the Lebanese and to all people: Until 5 or 7 minutes before my speech to you, there was a definite statue quo and a truth that was taking place and which I like to acknowledge. As many of the Lebanese, we in Hezbollah used to know the magnitude of security violation made by the international investigation and the international prosecutors of everything in Lebanon since 2005 until this very day. Still we remained silent on that. However indeed we will not remain silent tonight. Until no more than 7 minutes ago we were silent as many of the Lebanese in the country. Was that a right thing to be done or not is another point of discussion. Why did we remain silent? We remained silent so that it won't be said that there are some who want to obstruct the international investigation and block the way before revealing the truth on who assassinated martyr PM Rafiq Hariri. So we remained silent as we tried to observe the national and local sensitivities. We remained silent on all of these violations for years. Still these violations were taking place. I will present to you some quick titles of what the investigation committees demanded when it used to be called investigation committee and before the Special Tribunal was formed and then what was demanded by the General Prosecutor after the STL was formed. I will mention some and not all of the titles because I have a long list. Some of what was demanded by the investigation committee (what it was furnished with as some sides offered data while other sides showed reservation and other sides did not have enough information to offer is another field of research) is known by the Lebanese while some are not known by them. For example, the international investigation asked for the files of the students in the private universities in Lebanon from 2003 to 2006. At least they demanded that from private universities and I do not know if they asked that from public universities. So all the files of university students – whether Lebanese or not – are with them. Henceforth were these files go, I will tell you in a while. All so called communication data in Lebanon since 2003 – phone calls, sms… - whether from MTC, Alfa or Ogero from 2003 till this very day was given to international investigation and is updated regularly. They called for fingerprints from the Passport directorate in the Public Security. All the fingerprints for passports with fingerprints on them were demanded. Argument took place on the issue. They made a settlement and fingerprints for 893 Lebanese persons were submitted. They asked for all the DNA documents available in Lebanon. They asked for all the geographic documents and the Geographic Information System (GIS) in Lebanon. They want all what has to do with the Lebanese geography from the borderlines to the opposite borderlines: mountains, valleys, sensitive points, important points… This has its own world and terminologies. What does it have to do with the assassination of PM Hariri is another point of research? They demanded for statements for the subscribers in Elecricité du Liban. They spared no domain but they had access to it - apart from who gave them information and who did not. This is another point of discussion. For all of this period of time we did not say a word though we knew that such data are much broader from investigating an assassination and though we knew that and especially in the last years the investigators worked at collecting information about Hezbollah much broader than what is linked to accusing a group or groups in the assassination of PM Rafiq Hariri and though we knew that this data reaches western security bodies and Israel. Copies of whatever the international investigators collect are transferred to Israel. Still we remained silent. Anyone in Lebanon and even from among our masses has the right to say we were mistaken or not in that. However I am only depicting what took place up to this moment. Why did we remain silent? We remained silent only and only for having no one saying there are impediments. We know that used to cause much sensitivity in the country. We remained silent to show respect to the family of martyr Hariri, to the movement and to the general atmosphere in the country. For many and various considerations, that was what took place. However, now we reached a point on which I believe we can not tolerate staying silent under whatever political, local or foreign considerations. Never! We can't remain silent for the sake of anyone. Allow me to say here; what has the international investigation to do with gynecologic files for our women? I am hesitant. Shall I speak out or not? However there are details which I will talk about later. Why? What do they need that for? Why do they come and ask for files from a specialist in a clinic which is most frequented by the women, wives and daughters of leaders, cadres and officials in Hezbollah? It is a very active clinic. They asked for the files at least from 2003 till 2010. I asked about the number of files and was told that they are for more than 7000 ladies (not examinations but ladies). So each file is for a woman which includes all examination, re-examinations and details. The doctor argued saying: How come you make this request? These files have their privacy. After argument their demand was limited to 17 files. However the doctor might not have argued them and they might have had access to the archives as what might take place and did take place in other places. Still what do they have to do with these 17 files? What has the investigation to do with having access to gynecologic files for our women, wives, daughters and sisters? I would like to address the Lebanese officials with a question (because I heard some officials making statements in the media). I would like to ask the presidents, ministers, deputies, judges and even all the Lebanese: Who among you accept that anyone has access to the gynecologic file of his wife, mother, sister or daughter? Were they files that have to do with ophthalmology or otolaryngology, it might be acceptable. But when it comes to gynecology, who accepts that? Whoever accepts that in the country let him show up and say we accept and tolerate that and you also must tolerate that too! Let us know who this great honorable person in Lebanon is who can tolerate such an issue with such a magnitude! Everyone in Lebanon and the region know that this can't be tolerated. We can't remain silent on that under whatever condition. If we talked in terms of human norms – with those who are still human beings indeed -, moral norms, traditions, customs and culture as Lebanese, as Arabs and as Easterners, religious considerations whether as Muslims or Christians and moral and religious norms, who accepts – without prior knowledge, consent and permission – that that takes place? Even from legal and judicial perspectives, this is debatable. I did not have time in fact to see if the laws in Lebanon and the judiciary system do not defend our honor. We have deputies in the Parliament. Let's go then and work and call for laws that defend our honor though today I heard more than one side saying that on the legal level this is unacceptable or at least debatable. Brothers and sisters! This scandalous development takes us back to point zero, to all the security violation taking place in Lebanon under the title of international investigation. We would not have wished to reach this but you have led us to this point. You have led us here. Is it still acceptable to remain approving of this violation as Lebanese whether we were in the presidential, governmental or parliamentary posts or in state administrations or as Lebanese people? What is taking place is a violation. The investigation is over. The indictment they say will be issued has been written since 2006. It is the very indictment as was published in Dir Spiegel. Soon you will see. It is the very indictment as was published in Le Figaro. It is written and I have been informed of it no more than a few months ago. I have been informed of it in 2008. Now I will not go more into details not to trouble the country anymore. The issue is over. All the investigations that are taking place are to make use of this cover to collect as much data as possible which will in fact make no difference as far as the investigation is concerned because it was inked with words of oppression, falsification, fabrication and aggression. It has been written already. Is it possible anymore to accept this violation of everything in this country: universities, companies, communication and gynecology? There are doctors – we did not talk about that – who were contacted and who supplied them with scores of names and not only 17 or 20 names. They went themselves with the files with them. I knew of that. Still I told our brethrens: Well let's have patience. This is not a gynecologic file. 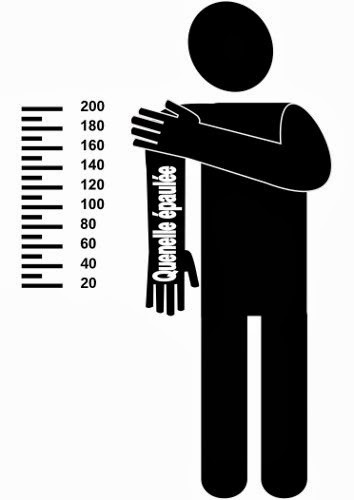 But when it reaches this limit, we will say no. Allow us! The whole world must allow us before this scandalous development: This is a particular conduct pursued by the international investigators, those behind them, those who support them and those who cover them. What is the responsibility now? First: I call on every official in Lebanon and on every citizen in Lebanon to boycott these investigations and not to cooperate with them. The violation that has taken place already is enough. Because everything that is submitted to them reaches the Israelis and all the data and information and addresses reaches the Israelis, enough with this violation. Second: I would like to say with all love and faithfulness. Let's depict our statue quo. Carrying on cooperating with these will help on one hand in more violation of the country in all domains. On the other hand, it helps in aggressing against the Resistance. Any cooperation from now on with the international investigators will help them in aggressing against the resistance. Third: I call on every official and every citizen in Lebanon from now on to deal with the demands of these investigators pursuant to his conscience, dignity and honor because in the past few weeks it seems that the investigators are running out of time and they want to benefit from the remaining time. Several doctors were threatened. Several persons were threatened by the International Investigation Committee. This is documented. Before whatever threat, I tell the people: You are before a responsibility which has to do with your honor, dignity, nationalism, morals and the fate of this country. Here I am calling on everyone to assume this responsibility. This is an outcry and I want to stop here. Perhaps I had more details to say. One of the professors called and asserted the applications and files of students in all the Lebanese universities – whether private or public – are with them i.e. with the Israelis. So the files of all your sons and daughters who entered the universities in Lebanon are with the Israelis. What does this have to do with the assassination of PM Hariri? Anyway, I will stop here. I call on all officials to assume their responsibilities. I call on all people to deal with the issue according to their honor, dignity and nationalism. It's time this violation of everything in Lebanon is over as it touched our honor – i.e. to the point one can't tolerate and on which one can't remain silent at anytime and not even for one moment. Peace be upon you and Allah's mercy and blessing. 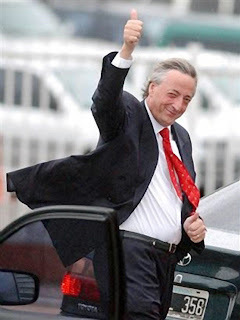 Former president Néstor Kirchner has unexpectedly died today of heart failure. He was the first elected president of Argentina after the terrible economical and political crisis that the country suffered in 2001. Kirchner had had some health problems lately: in February he had a surgery for problems in the carotid artery, and in September he had an angioplasty. His doctors recommended him rest, but he kept a very tight agenda: he was a congressman, president of the Justicialist Party (also known as Peronist, Argentina's biggest party) and Secretary General of the Union of South American Nations (Unasur). And, despite not having any formal position in the Executive, headed by his wife Cristina, he is known to be closely involved in it. He began his political career as governor of Santa Cruz province, in Southern Argentina. Barely inhabited, it has a high income per capita, due to oil and gas extraction and a strong fishing industry. Despite of his leftist tendency, in the 90's Kirchner supported former president Carlos Menen (known for his strict neoliberalism) even in the privatization of Argentina's national oil company YPF, which has a strong presence in Santa Cruz. When the economy was beginning to show problems in the late 90's, he transferred the reserves of his province to banks abroad. Despite his affirmation that these funds have already returned to the country after the crisis was overcome, there are claims that part of these were diverted. As a president, his government had two parts, one very good and another quite problematic. Initially he had the merit of further stabilizing the country after a terrible crisis. When he came to office, he managed to reach an agreement with the IMF and creditors over the defaulted national debt, began an economical policy of growth, recovering of industrial sector and low exchange rate to benefit exports. The economy began growing around 10% per year, unemployment drastically lowered, together with poverty, and his popularity soared. But in late 2005 he sacked his Economy Minister Roberto Lavagna, and began a more unorthodox policy of high state expenditures. Inflation began to rise, and the government intervened the statistical institute so not to reveal true inflation data. While most independent economists calculate an inflation of around 30% annually, officially Argentina has an inflation of less than 10% per year. Argentina is the only country in the world with unreliable official economical data: not only inflation, but also GNP growth and poverty level data are also under suspicion. Another merit of him was breaking at last Argentina's "automatic alignment" with the US. Since Menem became president in 1989, Argentina was the strongest ally of the United States in the region, even sending warships to the first Gulf War in 1991. In 2005, in a conference in the Argentinian city of Mar del Plata, Kirchner together with most of South American presidents rejected Bush's proposal for the Free Trade Area of the Americas, effectively burying this project. But then in 2006 he accepted the controversial US and Israeli version of the attack against the Argentine-Israelite Mutual Association in 1994, blaming Hezbollah and Iran for it. Argentina's foreign policy, though not so closely aligned with the US as in the previous decade, continues to be less independent than Venezuela, Bolivia, Ecuador and even Brazil. His wife Cristina was elected in 2007, and followed exactly the same policies. Néstor is considered the true strong figure behind the president. Next year there will be presidential elections in Argentina. The political panorama was already complicated: Kirchner had a decrease in popularity, but he kept strong support in many sectors. And he was surely the most influent person in Front for Victory, the faction of the Justicialist Party currently in power and with the biggest representation in the Congress (though not having absolute majority). After his death, it's completely unpredictable for now what will happen in the next elections. Being also the first head of the recently created Union of South American Nations, his death also affects regional policies and the future political and economical integration of the continent. The Argentine government is receiving condolences from all over the world, specially from countries with similar leftist orientation (both "moderate", as Lula in Brazil and Mujica in Uruguay, and "hard-liners", like Chavez in Venezuela and Correa in Ecuador). The 9-11 Truth Movement has clearly won the fight. The two key facts essential to defeat the official explanation and establish critical need for a new, wider, criminal investigation are the free-fall collapse of three WTC buildings (proving the complete absence of structural resistance) and the presence of thermite in large quantities (as the prime explanation for the absence of structural resistance). These facts have been established irrefutably as a matter of repeatable and verifiable science. It took a high school physics teacher to recognise and then take the necessary steps to prove that the buildings collapsed at a rate approaching gravitational free-fall. He did this using a frame-by-frame analysis measuring the distance fallen between frames and calculating velocity and hence acceleration based on the sampling rate (i.e. the time between frames) of the video. This is probably not publishable work because it’s not new science; it’s really just application of science that’s been established for over 200 years. However, it’s repeatable and verifiable by anyone in possession of the tools and knowledge required to perform the frame-by-frame analysis on the numerous video footage of the collapsing buildings. Indeed, similar work can be seen in many physics textbooks, which use sequences of photographic images of accelerating objects taken at fixed time intervals to illustrate the concepts of acceleration and velocity. Thermite is a mixture of substances based on Aluminium, Iron and other elements, which, when ignited, burns at temperatures sufficient to melt steel (which is not possible with jet fuel). It can be used to cut steel girders. Nano-thermite is a more technologically refined form in which the particles are of microscopic dimensions (of the order of nanometres) evenly mixed in accurate proportions and which can be used as an explosive. This is now common knowledge but must be stated for completeness. Prof. Steven E. Jones, who was at the time of his work, Professor of Physicist at Brigham Young University in Salt Lake City showed the presence of substances arising from the action of thermite to melt steel in samples of melted steel obtained from girder fragments taken from the debris of the WTC buildings and used in monuments to commemorate the event. His peer-reviewed and verifiable scientific work has been published in scientific journals as proof of the use of thermite to cut the steel girders and weaken the structure of the buildings. The use of thermite in this way is also corroborated by the observed molten metal pouring from holes in the stricken buildings before and during their collapse and the presence of pools of molten metal in the rubble, still white hot and molten weeks after the collapse. If this were aluminium, even the people who removed it would surely know. Danish scientist, Niels Harrit, PhD Associate Professor at the Department of Chemistry at the University of Copenhagen, has published with others, a peer-reviewed paper in the Open Chemical Physics Journal describing work he did to establish the presence of nano-thermite in four independently sourced and chain-of-custody verified samples of dust taken from the debris of the WTC towers. Its mere presence is significant. Microscopic characteristics of particles in the separate samples were the same, indicating that the particles derived from a common source. Quantitative analysis of the samples extrapolated to the total volume of rubble indicated very substantial quantities of the explosive were present - tonnes of it! The presence of large quantities of nano-thermite suggests it was used as an explosive as part of a controlled demolition of the buildings. The use of nano-thermite in this way is also corroborated by the many observed “squib” explosions flashing out laterally from the sides of the buildings just below the wave of collapse as it moved down the building, by the many reports by firemen, rescue workers and survivors of explosions seen or heard within the buildings before their collapse and by the fact that thousands of tonnes of steel, concrete and glass were pulverised almost completely to dust in a wave that moved at near free-fall speed down the buildings, ahead of the collapse, ejecting fragments and steel girders sometimes hundreds of feet laterally as it went. The proven presence of these two forms of thermite is taken to explain the complete absence of structural resistance to collapse of the buildings allowing free-fall descent and implies pre-arranged, controlled demolition. The evidence for controlled demolition is also corroborated by the visible pattern of collapse with apparent implosion and systematic collapse of each of the buildings into its footprint. This pattern has been easily observed and recognised by untrained spectators and is also confirmed by experts in controlled demolition who testify to the difficulty, the time in preparation and expert knowledge and experience required to achieve it. 4. A great many relevant professionals who possess the technical understanding of diverse aspects of the 9-11 event have put the weight of their professional credibility behind the 9-11 Movement – and the number is growing rapidly. Despite the daily, universal reach to the minds of ordinary people by a corrupt mainstream corporate media, curiously and intensely committed to the obviously inadequate official explanation, the cause of 9-11 Truth has a massive following not only internationally but also in the US where the insulating power of the mainstream corporate media is supreme. With all of this inertia, credibility and focus of the 9-11 Truth Movement the now irrefutably established critical facts represent a breach of the dam wall; the flood is imminent and inevitable. Faced with widespread and intense opposition to a foreign invasion the government simply “stayed the course” but faced with general public rage against a system suspected of having committed violence against its own people in a context of widespread economic despair aggravated by anger over financial corruption, just weathering the storm is probably not an option. The flood will come. The first immediate casualty of this breach of the wall is the 9-11 Commission Inquiry itself; the question will be no longer if there was a cover-up but why. Interest must inevitably turn to the reasons for resistance to the inquiry, constraints on its terms of reference and power to summon witnesses, the lack of cooperation of some who gave evidence including Bush and Cheney and the obvious inadequacy of its report. The 9-11 Inquiry Commission will itself need to be examined as part of the new inquiry. Another casualty will be the public trust in the corporate mainstream media. The nature of the WTC event is that once controlled demolition is acknowledged as fact the reality of it seems obvious and self-evident. Given that the necessary investigations to prove it as fact were so relatively straightforward and, from the point of view of forensic criminal investigation, so obvious, why has the mainstream media so vigorously supported objection to it. Is this the event that breaks the spell? The first and most obvious question to be addressed by the new inquiry will be that of “How did the thermite get there?” Large quantities of it were present; not easily brought into the building and installed for controlled demolition without attracting notice. The first and most obvious person to question is Larry Silverstein, whose on-the-record and apparently careless remark that “We decided to pull it” appears to let slip an inside knowledge and a failure to realise that the time between the plane collisions to the two main towers and the collapse of WTC Building 7 would be insufficient to prepare to “pull it”, which is taken to mean a controlled demolition. There will also be renewed attention to witness reports of a full power-down of the WTC, the first in the life of the buildings, on a weekend shortly before 9-11. Another aspect of 9-11 that will receive great attention will be the apparent stand-down of national air defence. How is it that the world’s most substantial and at-the-ready national air security facility, capable of responding to a hijacking anywhere in the country within five minutes was delayed in responding more than 45 minutes and failed to intercept any of the four alleged hijackings? Stand-down appears also to have taken place within the CIA itself. While Condoleza Rice lamented that no one could have foreseen such an event numerous warnings had in fact, been received of just such a threat. Of course, it’s one thing to receive an abstract warning and another to tangibly identify an actual threat in progress. However, one branch of the CIA lamented that they had indeed identified the hijackers and their intentions and had compiled a file on their activities. Yet when the file was presented to higher authority they were ordered to suspend their investigations. This is certainly an aspect of the event that will attract the interest of the new inquiry. The 9-11 Truth Movement has established a very large body of evidence and analysis. The wiser factions of the movement have studiously avoided attempts to explain the broad picture of what actually happened on September 11th 2001 or the “how” and “who” but rather, have directed their attention to establishing evidence for or proving critical elements - controlled demolition - refuting the official explanation. This fundamentally accounts for their success. However, these two critical and deterministic facts, which establish the case for controlled demolition beyond doubt, will create the magnetic field of force that attracts, aligns and solidifies the many other salient facts of the evidence accumulated by the 9-11 Truth Movement into a monumentally persuasive case for some sort of high level, perhaps government involvement. Only a formal, full, thorough and open investigation with a genuine intention to ascertain the truth can achieve the necessary detail and understanding required to explain exactly what transpired in all of the four alleged hijackings. But the contributors and supporters of the 9-11 Truth Movement are already clear about the current, official explanation; if there is any truth at all to it, it’s far from the whole truth. According to reports in the Russian media, Prime Minister Putin has demanded in a very harsh manner that the Minister Of Defense Serdiukov present him with a detailed report about the scandal at the training center at Ryazan Airbone School. According to rumors, the current Chief of General Staff, General, Nikolai Makarov, is likely to replace Serdiukov. If true, Makarov would be a strange choice since it appears that he was the author of the idea to subordinate the Airborne Forces to the High Command of the Ground Forces. Other sources report that the plans to create a separate branch of Special Operations Forces, a la USSOCOM, have been abandoned. If true, that would mean that the GRU would keep the control of the Spetsnaz Brigades and the Airborne Forces would keep the Independent 45th Regiment of the Airborne Forces. * 16th Detached Special Operations Brigade - formerly Teplyi Stan, suburb of Moscow, now Chuchkovo. * 24th Independent Special Operations Brigade - Kyakhta. Actually, there are more Spetsnaz units ranging from battalion size and smaller, but these are mostly specialized "officer only" units about which very little is known. Revelation: Russian Navy officers demanded the dismissial of Serdiukov already FOUR times! According to information published in the Russian press, it has now appeared that the union of Professional Navy Officers has written to President Medvedev no less than 4 (four!) times to demand the dismissal of Defense Minister Serdiukov. "It would be wrong to say that we supported the paratroopers. 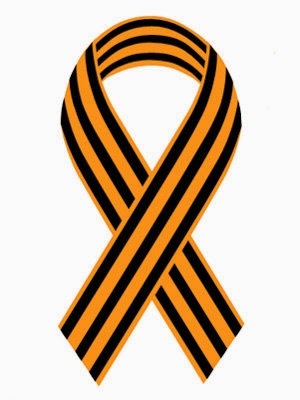 Even before the incident with the Airborne Forces, 14 September, we sent a fourth letter to Russian President Dmitry Medvedev, to draw his attention to the distressing situation of retired military personnel and the situation in the army in general ", - said Navy Captain A. Krasik. He noted that the sailors are not interested in conflict Serdyukov with Colonel Krasov. "This is a mundane issue, it is of no interest to us, we are more interested in what Serdyukov has turned the armed forces into his joint-stock company", - said chairman of the Union of Professional Navy Officers. "We do not demand the resignation of a Serdyukov, the people are demanding this, and we are simply supporting their demands. People like Serdyukov come and go, but for the fact that he had disarmed state and destroyed the military infrastructure, Serdyukov should be subjected to criminal prosecution ", - concluded A. Krasik. Well, something tells the rest of the armed forces are not exactly in love with that overweight swine either. I can tell you who is quite happy with Serdiukov: the Ministry of Internal Affairs (MVD) forces since they get all the money which is taken away from the Military. (The MVDshniki have been spent on lavishly since Putin and Medvedev came to power). Them, and the FSB (ex-KGB) of course, the alma mater of Putin. Amusingly, the street cops are also pissed too since they are increasingly put under pressure by the regime for their corruption, abuses of power, drunken accidents, abuse of suspects, etc. The MVD+FSB duo has been cracking down on them pretty strongly in the recent months. Anyway, I wonder who in the armed forces will be next to openly speak up against Serdiuko? Make no mistake - the Kremlin has enough resources and power in the MVD+FSB structures not to have to fear a real open rebellion military. If they want, they can crack down on it and organize a grandiose purge in 24 hours. But Russia is not the Soviet Union any more, and there is a real risk of political backlash. The public opinion cannot be simply ignored as it was in the Soviet era and, just like in the USA, the military represents a (potentially) formidable *political* force which can make things very bad for the current regime. This is why I believe that Serdiukov's days as Minister of Defense are numbered. He will be probably "promoted" to some cozy (and well paid) position way from the military. 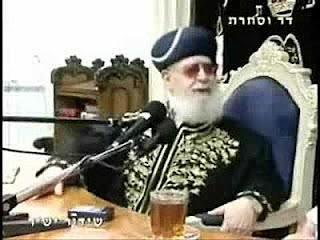 Rabbi Ovadia Yosef, the head of Shas’s Council of Torah Sages, declares that “Goyim were born only to serve us"
Colonel Andrei Krasov describes his conversation with Defense Minister Serdiukov as "business-like"
"Serdyukov expressed its displeasure with incomplete repair the dining room and engineering networks. "The conversation has been very emotional on the part Krasov, - said the colonel about himself in third person - and by Serdyukov. "But it was a business communication, - said the commander - the Ryazan School has already begun to address weaknesses identified during the visit of Minister of War. " So it appears that the Paratroopers have received very strict orders from their Commander in Chief, General Shamanov, to "cool it". Clearly, their main goal has been to weaken Serdiukov's position and my guess is that his days as Defense Minister are numbered. Yet, for the Kremlin not to loose face it was important to avoid giving the appearance that the Airborne Forces had given Serdiukov the boot. The next event to watch for will be whether the Airborne Forces Union will go ahead with the announced Extraordinary Congress and, if that event does take place, what will happen there. This is all far from over, but it is moving into a much more covert, behind the scenes, phase. The Saker: "Lebanese Christian", please introduce yourself: how old are you? what kind of education do you have? what do you do in life? Have you ever served in the military or in the Resistance? What is your religion? How would you situate yourself politically? Lebanese Christian: I am in my fifties, well educated, have worked and lived in many countries over the years in International Business. I am a Maronite Christian, politically active since my early twenties, highly critical of the "order" or disorder if you will...which reigns in the Middle East since 1948, and where we have seen major soft and hard power struggles/wars and turmoil between the two big blocks during the cold war until 1990...especially in Lebanon, because of the forced presence of over 500.000 Palestinian refugees, armed intermittently over a period of 20 years and continuing to this very day in different forms, but having a low profile now. I feel comfortable in Washington DC, in NYC,or any American city or town, in any European city, as well as many Arab Countries where I lived and worked over the years. I was briefly part and parcel of the Christian Resistance in the early 80s. The Saker: On a daily, routine, basis, how would you describe the interaction between the Muslim supporters of Hezbollah and the Christians? How do the Muslim supporters of Hezbollah differentiate between the Christians who are vehemently anti-Hezbollah to those who are equally strongly pro-Hezbollah. Don't they lump all Christians into one "crusader" category (like the American propaganda who calls all pious Muslims "jihadists"). Lebanese Christian: The interaction between Muslims and Christians in Lebanon is perfectly normal, friendly and routine for hundreds of years, except for the brief periods of various outbursts of civil war due to deliberate "outside" interference, in 1860, 1958, 1970s, mainly because of the Palestinian armed transgressions and again nowadays because of the success of Hizbullah in defeating the Israeli occupation of Lebanese soil. Despite these various deadly outbursts, things always go back to normal fairly quickly, because people have no desire to succumb to such tragedies and desire a peaceful interaction in a very normal way. There is no such thing as a clash of civilization in Lebanon despite all the hoopla in the West since 9/11 despite the fact that there are clearly cultural differences between the two communities. There are also in Lebanon a considerable amount of interfaith marriages, still occurring today regularly, and over 365000 marriages between Sunni and Shia, in a population of about 2.5 Million Muslims in Lebanon, which makes it impossible to ignore and overcome in any artificial schism tried and promoted diligently by Israel and the West. As far as the supporters of the Resistance, I would say that they are a clear majority in the country, and the coexistence between the two groups is fairly civilized except for some occasional incidents here or there, where very quickly we discover that it is various Intelligence agencies come in the mix, especially Arab Intelligence services, like Egypt, KSA and Jordan doing the bidding of the West, and also occasional clashes in Universities between the two groups, considering the young age of the protagonists. But, it's always contained fairly quickly. 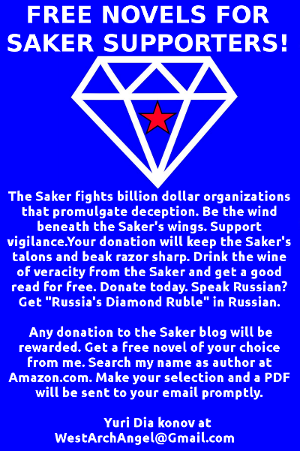 The Saker: You say that you are a Christian, yet you support Hezbollah. How can you support a Muslim political party which, while it allows Christians to join it in the "Lebanese Brigade for Resisting the Occupation", does not allow Christians to join the party itself. Does that bother you? Lebanese Christian: Yes, I am s strong supporter of the Resistance, and I see absolutely no need to question their organizational skills because the biggest strength of Hezbollah stems from the absolute secrecy and exceptional discipline of its structure. Without strict organizational skills and secrecy, the Resistance will be no more. The other major element of strength of the Resistance is the fantastic discipline of the Shias of Lebanon, a strength which is mostly ignored and overlooked by their numerous enemies . People tend to forget or ignore the suffering of the Shia and all Lebanese in South Lebanon since 1948, with various massacres committed by Israeli IDF forces in Houla, Qana (twice) and the thousands of tons of high explosives reigned on them over the years by Israel, and the total absence of the Lebanese Government institutions, from the Army to other social institutions, Hence they had to resort to finding ways of protecting themselves, their families and their fields, farms, homes etc. It was natural for them to resort to Iran after 1979, and they would have been very happy if they received help from Switzerland, Denmark or Sweden for that matter, but the only help that came was from Iran and the Lebanese Diaspora Worldwide. The Lebanese Brigades are a good idea whose time has come because there are so many Lebanese Christians and Muslims who would like to join the Resistance, and this is a Good avenue to absorb them and make a good use of their skills and numbers in any future Israeli aggression or internal fomented turmoil. The Saker: Have you ever had the opportunity to speak with Hezbollah officials or official party members (as opposed to supporters)? If yes, how do you think they perceive you, being a Christian. Do they encourage you do convert to Islam? Lebanese Christian: Yes, I have had the opportunity to meet privately with party members, and Hizbullah members of Parliament etc., and have always been well received cordially, respectfully, and continue to have an ongoing dialogue with many of them. Not once did any one suggest any conversion or the like. We all have mutual respect and understanding of each other, and each person maintains his own belief systems fully and respectfully. The Saker: What does your clergy say about Hezbollah? After all, since Muslims do not accept the divinity of Jesus-Christ and only consider Him as a prophet, they are heretics from the point of view of Christian dogmatic theology. Are these differences in belief a major impediment to Hezbollah-Christian relations? Lebanese Christian: None of these dogmatic issues are any impediment to Hizbullah-Christian relations. The relationship is based on a nationalistic political vision and religion has absolutely no place between them. There is an ongoing dialogue between Christians and Muslims in an official setting, which has been going on for years, trying to bridge various gaps in understanding each other in the Orient. There is a similar dialogue going on at the Vatican. As for the Lebanese Clergy and the Resistance, they are as divided as the society at large in Lebanon, with some Clergy openly supportive and others reluctant, afraid and schizophrenic about "hurting" ties with the West because of that issue and their various close relationships with Western institutions over the decades. The Saker: Both in 1982 and in 2006 the world witnessed abject scenes of Lebanese Christians welcoming the invading Israelis (in 1982 with champagne and speeches). How does the Christian community deal with such a stigma? What about the accusation that Christians are "crusaders"? Tell us about the Lebanese Druze and Sunni communities and their own stigmas: Druzes actually serve in the IDF, does that kind of collaboration between them and the Zionists cast a shadow over the Druzes in Lebanon? What about the Sunnis? Are they suspected of being sympathizers of Wahabi/Takfiri/Salafi movements within Sunni Islam? Lebanese Christian: In 2006, no one in Lebanon "openly" cheered the Israeli onslaught on Lebanon. I was there for the full three months during, before and after the war of 2006. There were obviously some Lebanese who colluded with USA/Israel in the hope that the Resistance will be very quickly smashed and finished and when they saw after few days that the situation was very dicey at best they ducked and disappeared, waiting in vain for the promised victory of Israel which never came, and they have been crushed ever since. I have to correct the premise of your questions here because of some inaccuracies: in 1982, a lot of Lebanese welcomed the Israeli invasion, especially in South Lebanon, and especially the Shia with rice and flowers for IDF, because of the tremendous suffering of all populations in Lebanon relating to the horrible Palestinian transgressions in Lebanon with armed sectarian conflicts over 2 decades stemming from their attempt at taking over Lebanon as a base of operation against Israel, but taking ALL Lebanese hostages of their fratricidal conflict within the Lebanese body polity etc., and most Lebanese were happy to get rid of the Palestinian armed presence in the country and were in a way thankful to the Israelis initially. But the Israelis and IDF overstayed their welcome in South Lebanon and turned it into a fully fledged occupation which lasted 18 years. This was the main reason for the birth of Hizbullah and its mighty struggle against IDF and Israel since then. As for the sectarian divisions and their repercussions, they are mostly forgotten, and today's divisions are between Nationalists and supporters of Western policies or other moderate Arab countries close to the West or subservient to the West shall we say, and you find supporters of the Resistance in all sects and walks of life. The Druze community follow the whims of Walid Jumblatt wherever he goes they mostly follow him blindly, but their presence in Israel and Syria in some large numbers, make their political choices fairly tricky to say the least but overall, in Lebanon and Syria, the majority seem to have Arab nationalistic views although some covert links with Israeli Druze do exist and persist today, and sometimes they materialize in some open public forums, with Israeli Druze groups coming to join their brethren from Lebanon and Syria in recurring meetings. As for the Sunni affiliations in Lebanon, there are very strong Saudi Wahhabi influences manifesting themselves in Tripoli in the north of the country mainly and in some Palestinian refugee camps etc., and you find fringe groups affiliated with ALL these various Sunni denominations. Also, the Sunni Future movement of Saad Hariri has very strong links to Saudi Arabia with all what that entails. The Saker: There is pretty good evidence that Muslims are already the majority of the population of Lebanon (the CIA puts the figure at just under 60%), yet the Lebanese Constitution is based on sectarian categories and we often hear of the fact that the Christians in Lebanon are afraid of loosing power to a truly democratic vote and become a minority. Is that true? Would Christians in Lebanon fear a Hezbollah-run government? If yes, why and if no, why not? Lebanese Christian: The sectarian, consensual based constitution of Lebanon does not permit any one group of overtaking or overrunning the Government or the country in a way shape or form, whether with elections or otherwise. The Parliament is divided equally between Muslims and Christians 50/50 and will remain so, no matter what the demographic numbers will be now or in the future and most Lebanese like it that way, and are convinced that it is the best way to proceed, respecting all beliefs, communities etc, exactly as they are, and not as we like them to be. Hence, no clash of civilizations will ever occur in Lebanon to make a long story short. I, personally have absolutely no fear of Hezbollah ever taking over the country, especially with Sayyed Hassan Nasrallah around alive and well and I think that most Lebanese feel that way, friend or foe, because of the tremendous respect, wisdom and historical perspective they have experienced with Hizbullah over a period of 28 years. 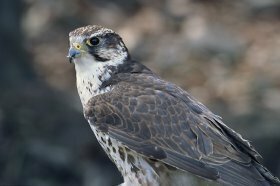 The Saker: Thank you very much for your replies!